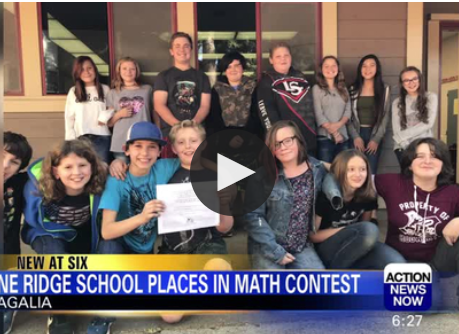 Magalia, Calif. - Pine Ridge Elementary School in Magalia placed third nation-wide in a math competition. The 6th-grade class competed against 750 schools and more than 16,000 students across the nation. The contest is a week-long online competition called Sumdog Math, which allows classes from 3rd to 8th grade to enter. Aram Osterlye, a teacher from Pine Ridge Elementary School, designated time every day throughout the week for his students to work on the quizzes. Osterlye's students, who call themselves the "steelheads," competed for the first time in this year's nation-wide contest.